Idaho's state parks department is taking a new approach to raising money through a pay-for-pass program. Banking on taxpayers desire for a choice, the agency is floating a bill in the state's legislature that will give Idahoans a choice of park passes. Idaho's Parks and Recreation already offers a $40 annual park pass. The program is only raising $800,000 annually, far short of what the department needs to run its parks since the agency was put on a "pay for yourself" plan a couple of years ago. The new pass will be offered for $10 when Idahoans register their cars, and will allow access to only 30 state parks. It's a dollars-to-donuts proposition though. If lawmakers pass the cheap pass program, then the agency projects it will lose followers from the $40 pass program. In the end, projections hope that the new pass will draw in a net $1.7 million. Still, out-of-staters are still stuck with the old $40 pass, and other fees charged in parks--read that camping, boating, and day visitation--will pump up the annual park income to $1.9 million. To raise badly needed funds, the Idaho Department of Parks and Recreation is launching a new program that will allow vehicle owners to voluntarily pay a $10 fee when they register their cars. The Idaho State Parks Passport will provide access to 30 state parks. Parks and Recreation currently offers a similar pass for $40 that raises $800,000 a year. It's hoped that the lower pass price coupled with more exposure to a broader audience through car registrations will bring additional $1.9 million annually. State support is down 80 percent from 2010. In Michigan, a similar program raised $10 million in the first eight months in 2011, and ended the year with $18 million in the bank. About 28 percent of renewing vehicle owners opted for the Michigan sticker. "As they talk about ways to improve facilities like fixing bathrooms, they're also talking about marketing ideas," she said. A bill to create the program is expected to be introduced Jan. 31. 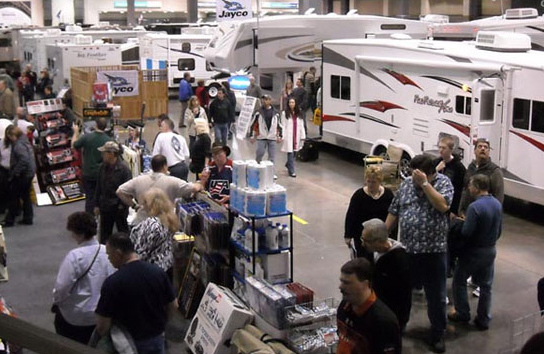 The 2012 Seattle RV Show is coming Feb. 9 to 12 to CenturyLink Field and Event Center with its usual large display of RVs and exhibits, and lineup of speakers at free seminars. Presented by Washington State Employees Credit Union, the annual show, now in its 49th year, surpasses all other regional RV shows in size allowing those who attend to shop and compare hundreds of RVs from multiple local dealerships in one convenient location between Seattle's two professional sports stadiums. 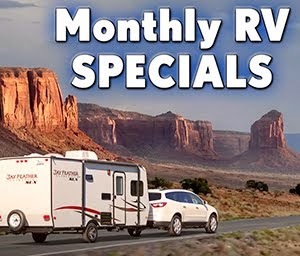 RVtravel.com will have a booth this year where it will be giving away nearly $1,000 in prizes. •RV Adventure Theater with hourly showings of fascinating RVing videos by filmmaker John Holod. •"Ask the Mechanic" where you ask a RV service professional any RV service-related question. •"RV Walk Through." Learn everything you need to know about a new RV just like you were taking delivery of your very own. The show opens Thursday at 11 a.m. and ends at 8 p.m with Friday hours the same. Saturday hours are 10 a.m. to 8 p.m., and Sunday, the final day, the show runs from 10 a.m. to 5 p.m.
Tickets are available online for $10, and that includes a free parking pass for either the north parking lot or the Safeco garage (a $10 value), as well as a coupon for a free cup of FX McRory's famous chowder across the street on Occidental Avenue. Admission tickets at the door are $11 for adults, $10 for seniors 62 and older, and $8 for students age 13 to 18. For more information, visit the show's website theseattlervshow.com.